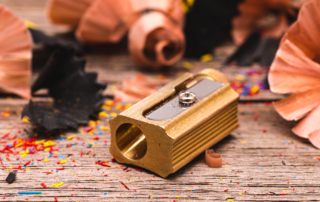 Dux's classic solid brass pencil sharpener comes with a built-in point-adjustment function which allows for three different sharpening settings. In Germany the Mercator knife is colloquially known as "Kaiser-Wilhelm-Messer", in the US it is commonly referred to as "Black Cat Knife". 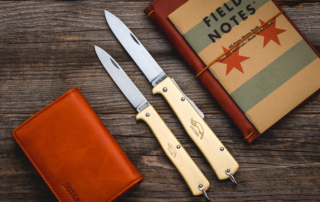 The brass handle gives it a touch of noblesse. 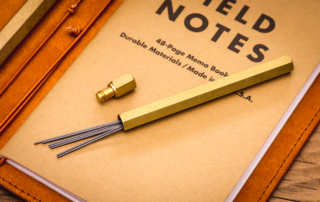 Crafted from solid brass, Ystudio's mechanical pencil is not only elegantly designed but also sturdy and made to last. Pencil lead refills are fragile and prone to break. 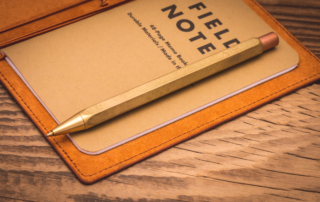 Designed to complement the Ystudio mechanical pencil, this small brass container will house your spare leads safely. 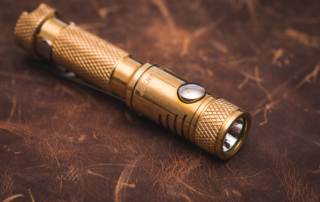 The Lumintop Ant is a small single AAA flashlight that can be easily attached to a keychain or kept covertly in your pocket for quick access. 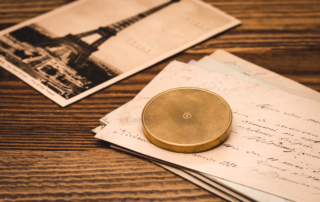 Ystudio's paperweight is made from solid brass and doesn't only keep things in place, it's also an awesome piece of eye candy on your desk. The Timeless series by EY-Products features an interesting combination of brass and wood. 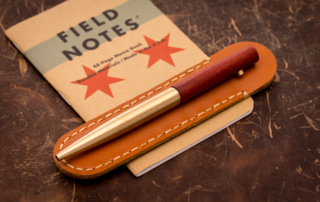 The Pen 02 is a rollerball pen that is both highly practical and aesthetically pleasing. 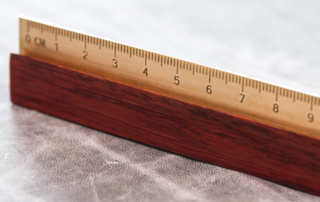 The gorgeous combination of brass and red rosewood makes EY-Products' ruler stand out from other brass rulers. 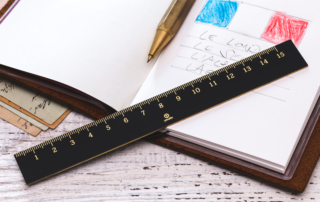 Rulers are one of the world's oldest measuring devices. Ystudio's ruler is made from solid brass with a coating of matte black paint.